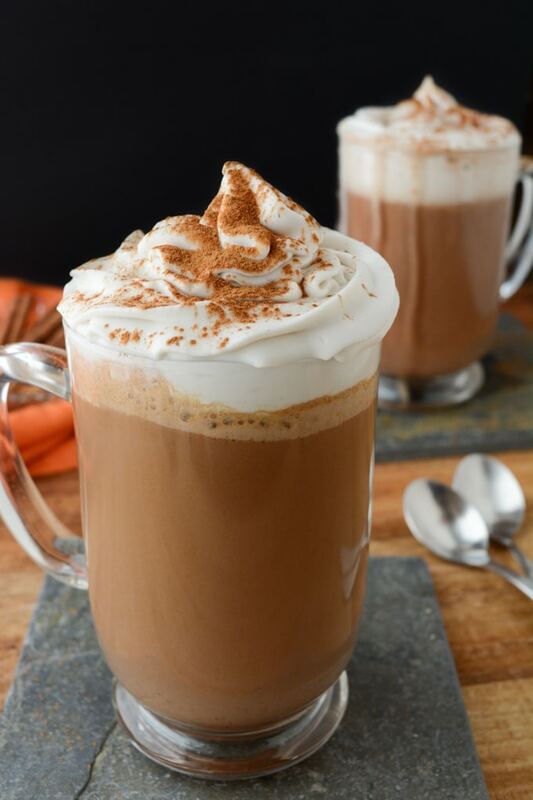 Cozy up this season with this Vegan Pumpkin Spice Hot Chocolate! It’s made with real pumpkin puree! Make a batch for the family or bring it in the slow cooker to your next holiday gathering. When I first tried this pumpkin spice hot chocolate I immediately KNEW it would be the next blog post! 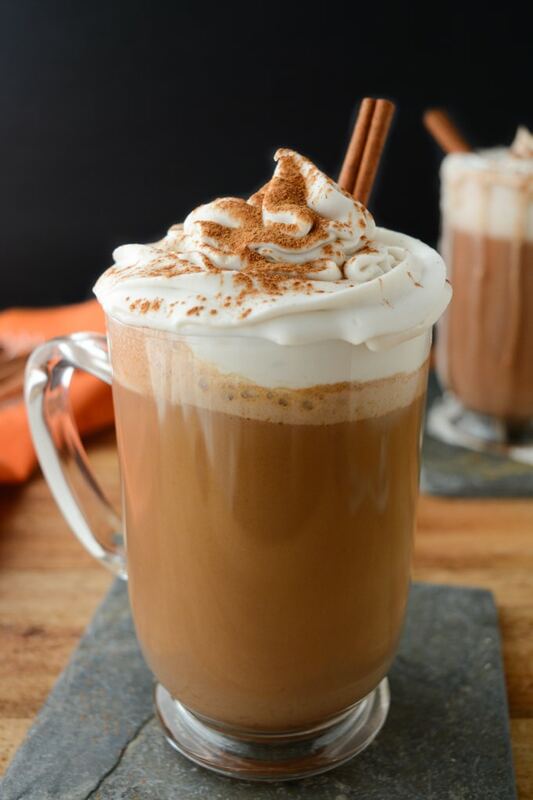 It’s hot chocolate with a decadent pumpkin twist and you’re going to love it! My two favorites are stove top and slow cooker. Making it on the stove top is very simple. Use an immersion blender or standard blender to mix the ingredients and smooth out the pumpkin puree. Then, heat up the hot chocolate on the stove. Serve Immediately. 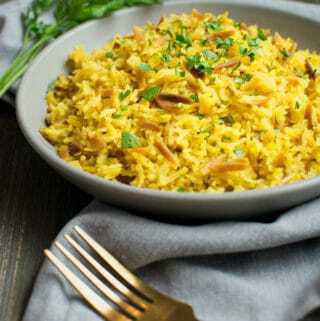 The slow cooker is perfect for gatherings. Make a large batch and serve it as a lighter dessert option. 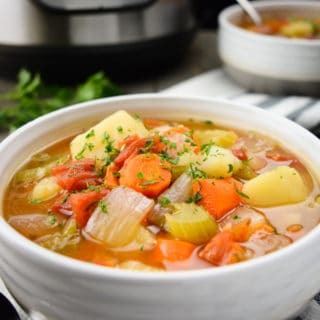 Blend all the ingredients together before adding them to the slow cooker. Cook per the directions below. I poured the mug in the back first and topped it with coconut whip. By the time I began photographing it had already started melting—quickly! By the end of the shoot it was screaming at me to drink it! Before indulging, I gave it a slight stir and ended up making a bigger mess! If you’re looking to dive into more Fall flavored recipes, I recently posted these Pumpkin Cheesecake Bars. When I created the cheesecake recipe the weather was still warm in my area so a cold pumpkin treat was perfect. Now that Fall has set in and the nights have become chilly this Pumpkin Spice Hot Chocolate has quickly taken it’s place. The flavor of classic hot chocolate just got kicked up a notch with the addition of pumpkin puree and pumpkin spice. 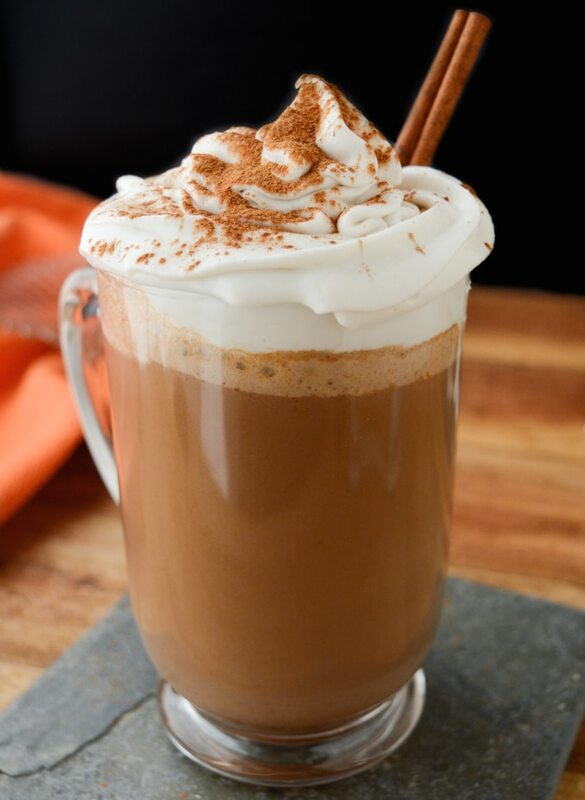 Top this decadent drink with coconut whip and ground cinnamon for the ultimate warming Fall beverage! 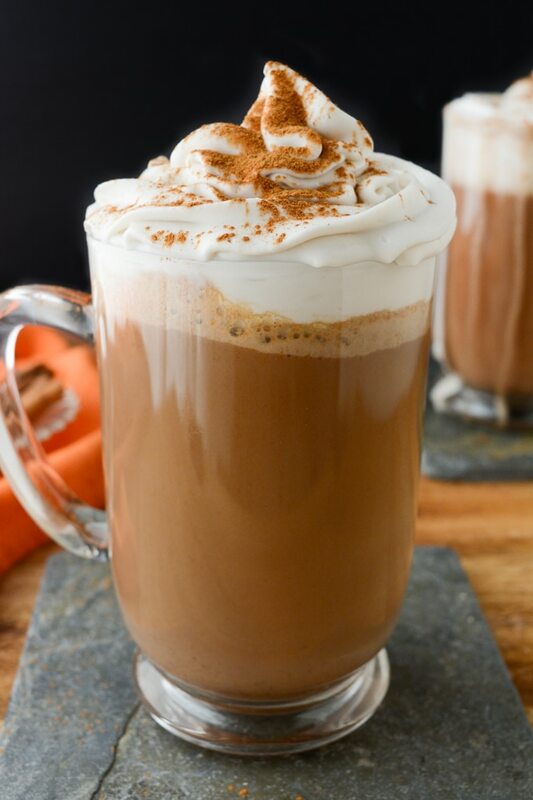 Cozy up this season with Vegan Pumpkin Spice Hot Chocolate! 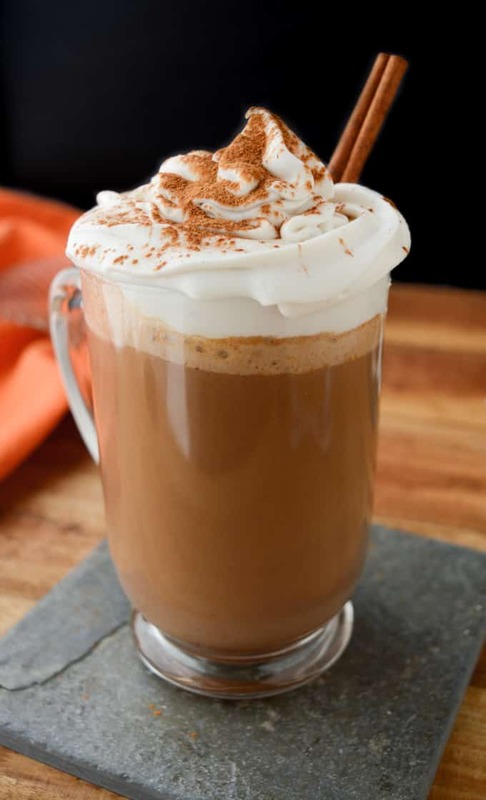 It’s made with real pumpkin puree and pumpkin spice giving it a rich, decadent flavor! Using an immersion blender , blend until smooth. Heat over medium-low until warmed. Stir occasionally to keep it from scorching on the bottom. Taste and adjust sweetness if needed. 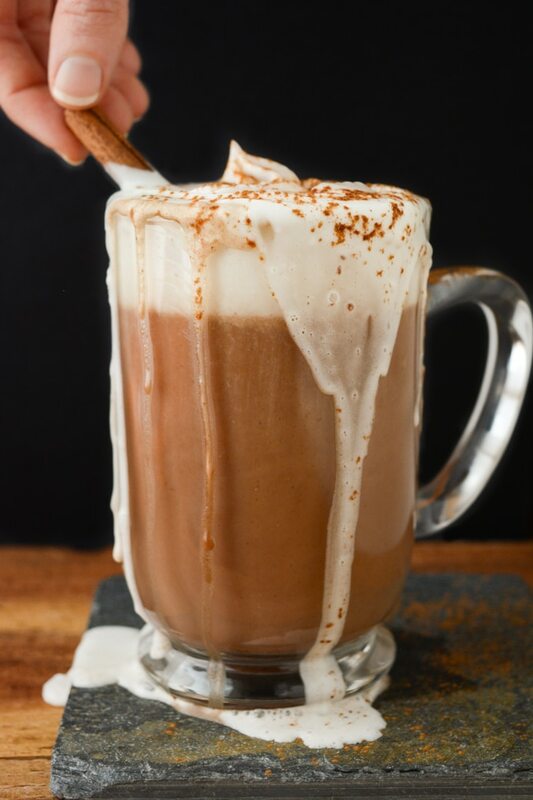 Pour into mugs and top with coconut whip* and cinnamon. Add all the ingredients to your slow cooker. Heat on low for 3 hours or high for 1½ hours. 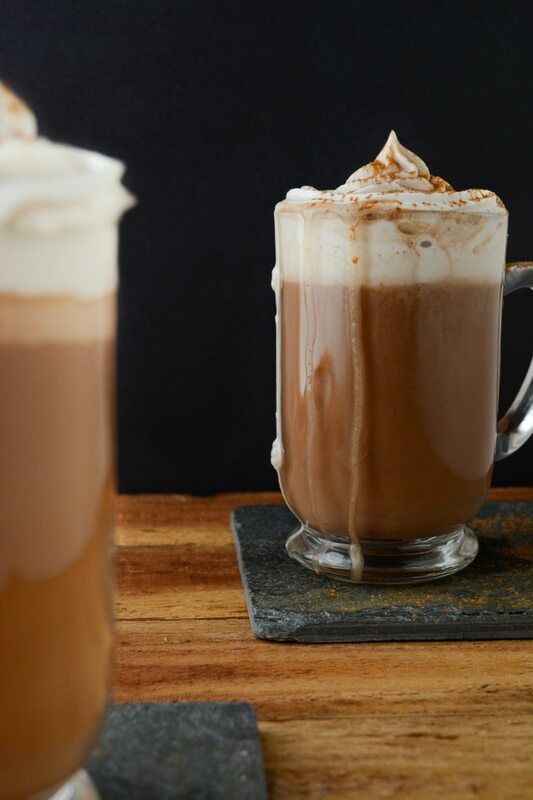 Serve in mugs topped with coconut whip and cinnamon. Place 2 cans of full fat coconut milk in the back of the fridge overnight. The next day, carefully open each can and scoop out the solid cream on top. (Use the leftover liquid in a smoothie etc. or discard it). Place the cream and 2-3 Tablespoons of sweetener (I use powdered turbinado sugar) in a large mixing bowl. Mix with an electric hand mixer until smooth. 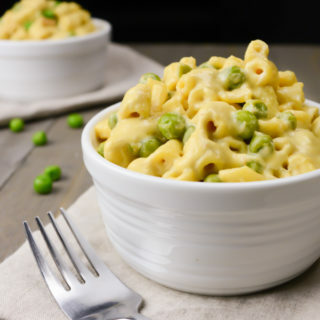 Use right away or store in the fridge to thicken.